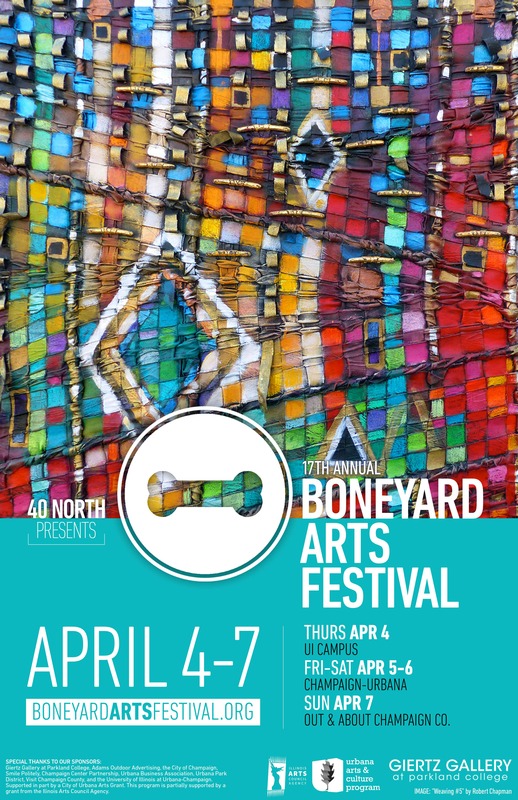 Here's your guide to all the venues, artists and special events happening throughout the Boneyard Arts Festival, April 4-7. Please join us at Parasol Records on 4/6 for Full Frontal Fiber’s second Boneyard: 2-PLY! Artist Cindi Norton Williams will be on location at Skins 'n Tins in Downtown Champaign displaying and creating artworks. Artwork Prints and Original hand-drawn novelty items will be offered for sale. What venues are still looking for an artist? Boneyard Arts Festival updated their cover photo. Boneyard Arts Festival is with Robert Chapman.